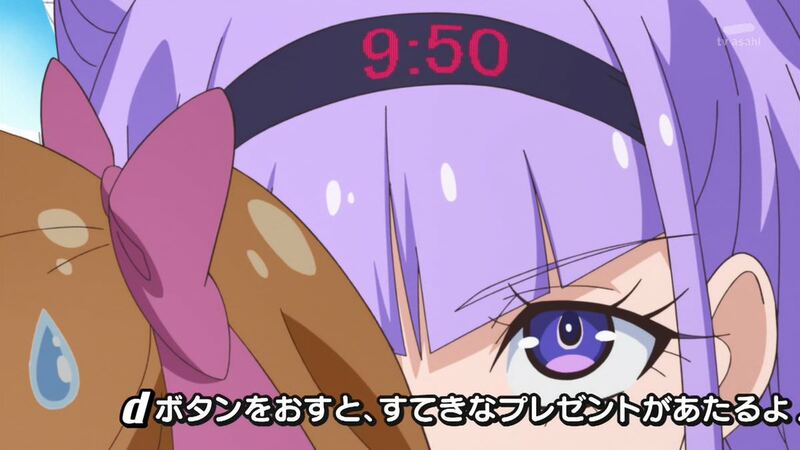 We often talk about the anime industry as referring to the collective of companies and creators involved in manufacturing cartoons, but especially when it comes to the biggest family-friendly titles, it really is a business: the avenues to monetize a project are pitched before its actual content, and executives mandate that it must work as a product prior to concerns about whether it does as a piece of entertainment. As time has passed, these massive corporations behind anime aimed at children have only been getting more ruthless. It’s not as if selling toys wasn’t their intention from the get-go, but their business practices get more efficient by the year, executives try to be cautious to retain viewership, and unwritten rules become so commonplace that they could asphyxiate any creativity… and yet they don’t. In spite of meddling and production constraints, kids shows keep on being the training grounds of not only talented creators, but also particularly inventive ones, leading to all sorts of wonderfully quirky work. This phenomenon shouldn’t be much of a surprise, since limitations forcing creators to find innovative solutions is essentially the tale of anime after all; Japanese TV animation features outstanding layouts and interesting visual concepts on the regular, even in unfortunate productions, because there’s decades of tradition of relying on that rather than the lavish animation that can’t be afforded by most projects. Now that doesn’t make those limitations good per se, but there’s no denying that they’ve made anime what it is, for the good and for the bad. And as I mentioned, that effect is accentuated in the kids anime sphere, which has made a big specialized studio like Toei Animation into an endless source of bold new voices. Anytime this is brought up people think of artists with striking visual quirks – and rightfully so, since we’ve had a myriad of Toei creators with unmistakable visual flair, from legends like Shigeyasu Yamauchi to newcomers like Haruka Kamatani. 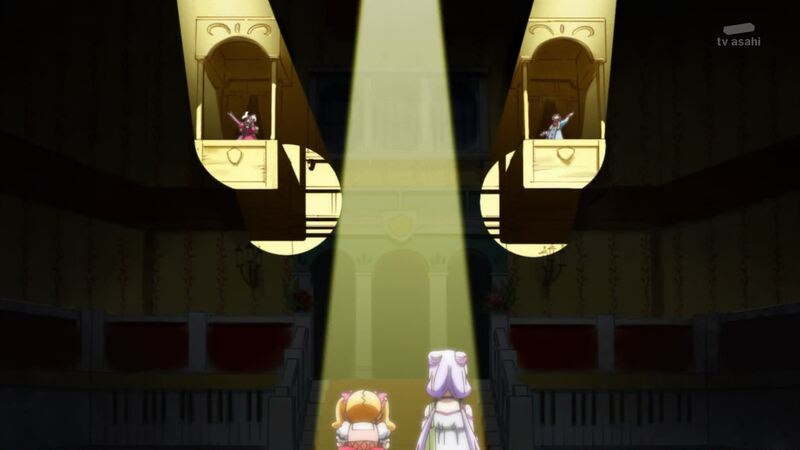 That said, others combine that with clear thematic preferences as well; as a good disciple of subtle horror master Yukio Kaizawa, Rie Matsumoto’s extensive career in Precure culminated with her elegantly worming her passion for religious tradition into the fantastic Heartcatch Precure movie. The restrictions these artists face have throughout the years motivated them to find new ways to express themselves while at the same time complying with all sorts of requirements that should stifle creativity. Some eventually leave hoping for more freedom, but the fact that a substantial number end up struggling more than they previously did speaks of just how filled with contradictions anime is. That’s a fascinating phenomenon without a doubt, but an excellent recent episode brought a curious exception to attention once more. While Toei’s aces have traditionally been idiosyncratic directors fighting against the formulaic nature of their assignments, our star today is Yuta Tanaka, who actually feels fairly comfortable in this situation. Don’t misunderstand, he has just as strong of an identity as any of the studio’s iconic directors and no desire to hold it back; there’s his fondness of multiplanar or otherwise spatially complex action scenes that you rarely see in anime, visual quirks like spotlights and all sorts of architecture as framing mechanisms, even a conceptual belief that it’s important for kids shows to not hold back any emotional punches – and since he made sure to hold back on anime’s usually destructive working schedules once he had a baby, I’m willing to trust his paternal views! There are so many aspects to Tanaka’s work that make him unique, and yet in the end he’s perfectly fine with playing by the rules, for a reason as simple as the fact that he loves kids anime. He’ll make an effort to push them forward, sometimes poking fun at their tropes and even himself, but always out of bona fide appreciation. The comfortable space he finds within tight constrictions sometimes feels like it shouldn’t even exist, but it serves as an interesting contrast with his many gifted peers who tried to reject the pre-arranged formula as much as they could. Now this isn’t meant to belittle the unique artists with aspirations for something more personal and unrestrained, but love as genuine as his is hard to come by and always appreciated. Keep on playing with those toys Tanaka, you’re doing great. Since not everyone might be aware of Tanaka’s career, let’s sum that up briefly before moving onto the actual episode that sparked this piece. All that context regarding this subset of anime and Toei in particular is very relevant when it comes to him, since he graduated from the no longer operative Toei Animation Institute and then went on to exclusively work with the studio for 12 years at this point. Though his first training episode was in 2006’s Powerpuff Girls Z, he quickly moved to the Precure franchise starting with Splash Star, and that’s been his home ever since. He learned the ropes under important figures for the series like Akifumi Zako – co-series director in the current iteration – but also from very pragmatic directors, which made him into the perfect long running anime staff rotation member: always capable of putting together something noteworthy, but not letting his ambition strangle the production. He offered his first bits of storyboarding to Fresh Precure’s climactic fights, he was given full control of a segment for the first time on the ending of Heartcatch Precure’s movie (which he begged none other than Rie Matsumoto for), and then was given the same responsibility for episodes starting on Suite Precure. His first TV series was of course the exquisite Go! 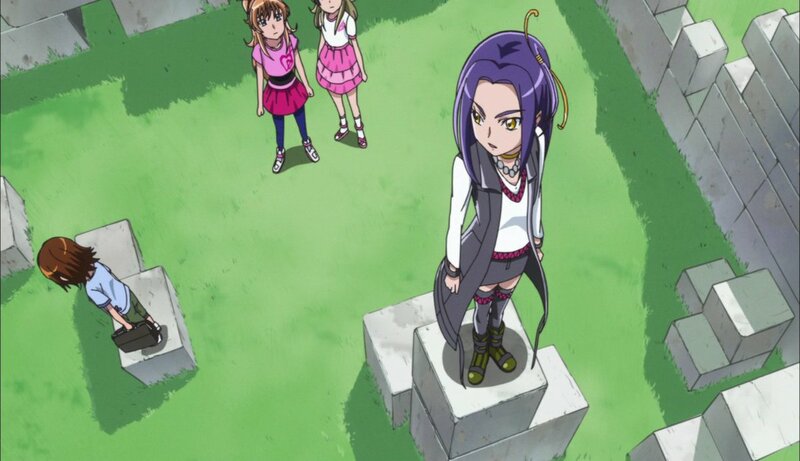 Princess Precure, while the first film of his own turned out to be Mahou Tsukai Precure’s fun side adventure. Every now and then he’ll take brief breaks, like when he went on to become one of Majin Bone’s best assets, but his dedication to this franchise is otherwise absolute. So, what was his latest contribution to Hugtto! Precure like then? Keep in mind that there’s a certain set of expectations when one approaches Tanaka’s work. 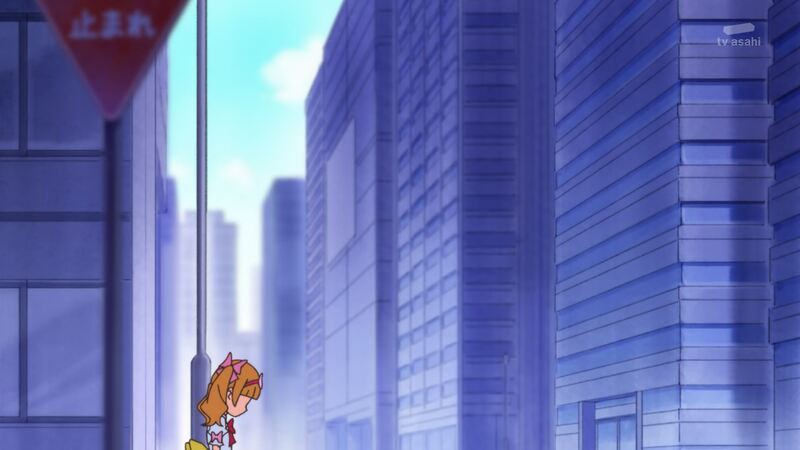 We’re talking about someone who’s handled many of Precure’s emotional highlights in recent years after all. The kind of director who, after getting viewers used to a pleasantly colorful logo for 39 episodes, would cut to commercials by draining all life from his own show. The same person whose first episode in this series actually ended on a downer, a very tricky thing to pull off if you don’t want to end up with parents complaining that their children are crying, but that gave Homare’s introductory arc much more breathing room and strength. So of course, the director known for masterfully twisting the knife returned to deliver… perhaps the funniest episode in the franchise, by all means one of the most hilarious experiences I’ve had with anime altogether. Never assume that artists are capable of mastering only one register, even if they have a clear brand. One of the aspects that immediately makes Huggto! 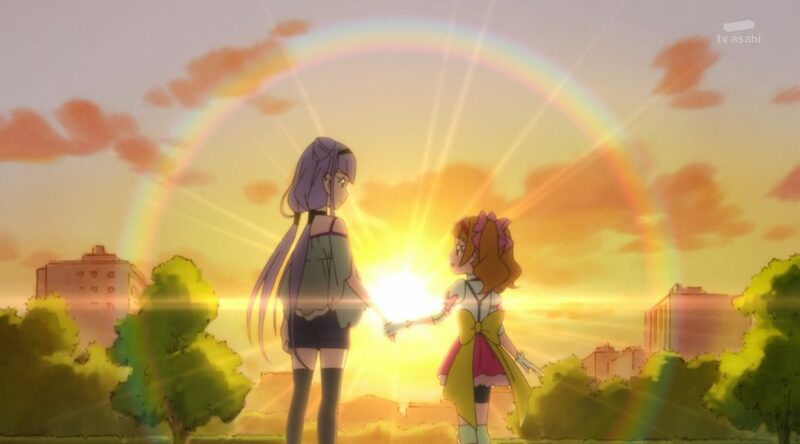 Precure #15 such an interesting showcase of the strengths kids anime can draw from their limitations is that it officially was a low cost, energy conservation outing. Fans and anime creators alike were amazed by Tanaka’s casual mention that they’d put together such a richly packed experience without spending many resources at all. Family friendly TV anime tends to run for a long time and that means rigorous planning is required, essentially going as far as sacrificing many episodes so that the climactic moments can be portrayed in all their glory. And while Tanaka is known for flourishing in those special moments, this time he made the production limitations into an asset of his own, storyboarding plenty of visual gags where the limited animation feels like a refreshing touch. It’s not the uninspired carton cutouts that cost-cutting often devolves into, but instead lively long sequences that stay exciting to watch at for so long that they successfully distract the audience from the fact that they’re composed by a ridiculously small number of drawings. Episodes like this inherit the best sensibilities of 90s Toei, where the drawing limitation was a strict rule and successfully sticking to it was seen as more of an honor than an annoying restriction. Now as conceptually strong as Tanaka’s work is, he was the first one to acknowledge that animation director and top key animator Kazuhiro Ota had been a huge help. 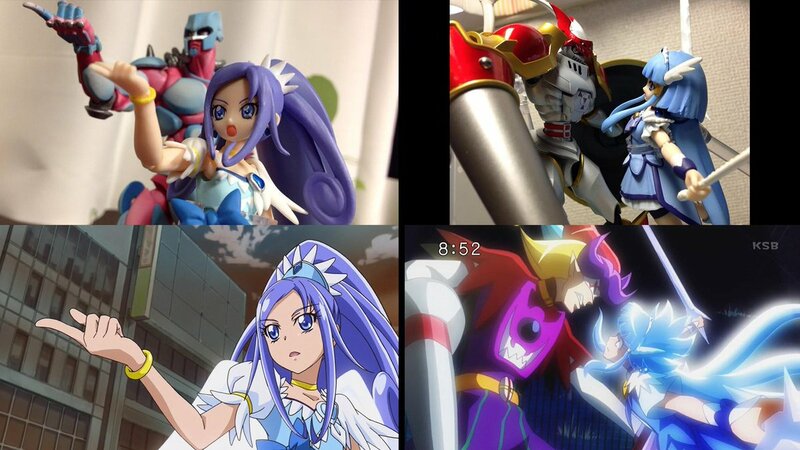 Ota has earned himself a reputation as modern action hero with his almost uninterrupted dedication to fights in the Precure franchise over the last few years, but episodes like this are a good reminder that he used to be a key figure in studio SHAFT’s wacky comedy stage – character designer on many ridiculous series like Pani Poni Dash, as well as arguably the best animation director on the likes of Sayonara Zetsubou Sensei. He made the best out of the economical approach they took for the episode, delivering all sorts of varied expressions – some more deranged than we’re used to in modern anime – and making the eccentric Emiru in particular simply a joy to watch. Besides the spectacular introduction of the realest fake magical girl by his own hand, the animation in the episode has no excesses whatsoever, yet far from being a problem that is incorporated as part of its many gags. Plenty of these visual jokes can be traced back to Tanaka’s storyboard to begin with, since they’re inherently funny tidbits beyond Ota’s charming execution; all the ridiculous scenes highlighting the fact that one of the girls is a robot, the exhaustion after a Dezaki-like ridiculous tirade about the coolness of guitars, even details as minor as using theater binoculars to gaze at the monster of the week from afar. All delightful moments, but the gags that are most relevant to the overall point here are the ones that underline Tanaka’s understanding of the quirks of magical girl anime, which he lovingly pokes fun at. 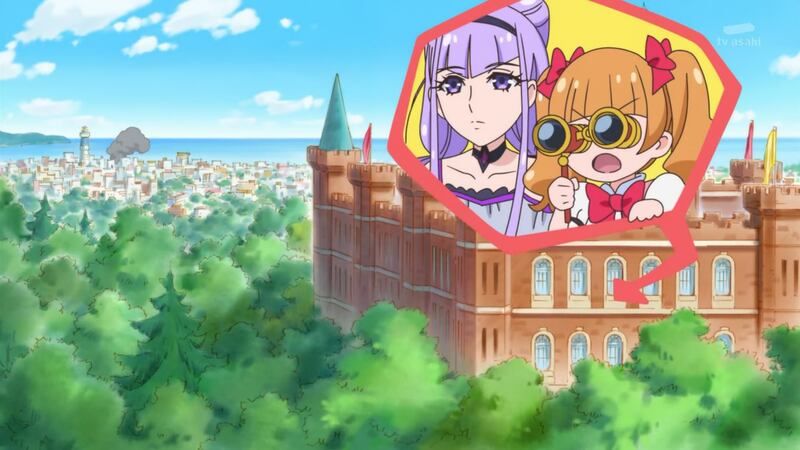 Emiru’s own passion for the genre became the perfect funnel for that, as she triggered fake eyecatches and even made the opening play as an insert song in a touching, by the books sequence she’d envisioned…without the best results, let’s say. Her enthusiasm is never ridiculed however, nor are her worries – the shot dwarfing her within the fight scene a civilian like her can do nothing about speaks volumes. Balancing ingenious self-awareness with utmost respect towards the characters is a tricky business, but episodes like this are the perfect example that it can be done. At the end of the day, directors of kids anime are perfectly aware that they face all sorts of restrictions. There’s inescapable tropes, executives breathing down their neck, and harsh production constraints as well. But rather than neutering creativity, that combination of theoretically negative factors has motivated many creators in this subset of anime to find inventive solutions, be it by attempting to reject all rules in the way the likes of Kunihiko Ikuhara did, or by carving a space of their own in a genre they love like Tanaka. If you’re ever looking up a unique anime creator and come across the fact that they started making shows for children, keep this in mind: they’re not the exception. This is a curiously common, if a bit backwards, anime phenomenon. That’s true, though at the same time franchises like this also are supported by people like Iwai (who Tanaka learned a bunch from!) without that raw inventiveness but who are super efficient, so they’re perfect for long running productions. Because of a mentality that gives episode directors a bunch of freedom and the presence of staff who might not have huge ambition but are great at getting work done, all these special individuals have an opportunity to shine in unique ways.